A school badge is a symbol representing a school's traditional spirit and its vision. The design of our school badge is, by no means, an exception. WHAT DOES OUR SCHOOL CREST MEAN TO YOU? The sky-blue and white slanting stripes on the top left section symbolize the school-colors. The silver symbol on the top right section comprises twelve stars and two inter-laced letters “A” & “M”. The “A” stands for “Ave”, a Latin word means “Hail” while the “M” stands for “Maria” which means “Mary” in Latin. In others words, “A” & “M” mean Ave Maria or Hail Mary. This is a dignified and respectful greeting by which we address our blessed Mother in Heaven. The twelve stars represent “perfection”. This two meaningful letters are embossed on a red background, which implies the symbol of love. 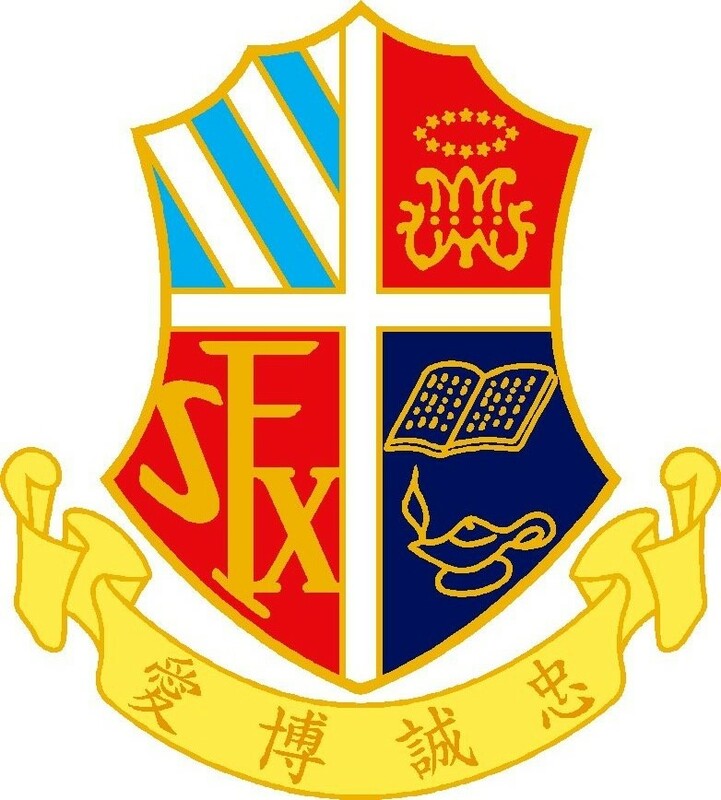 The three letters SFX on the bottom left red section are obviously the initials of our school name, St. Francis Xavier’s School. The bottom right blue section contains an open book and an ancient oil-lamp. The open book is symbolical of an open mind, of an ardent desire to increase our knowledge through careful studies and participating in extra-curricular activities. The ancient oil-lamp symbolizes of leadership, ancestral values, modern discoveries and improvements in various educational, spiritual, technical, cultural, academic and moral fields. There is a white cross at the center dividing the badge into 4 sections. The cross is a symbol of Christ and obviously stands Christianity. The Christian spirit is to be present in all our activities.